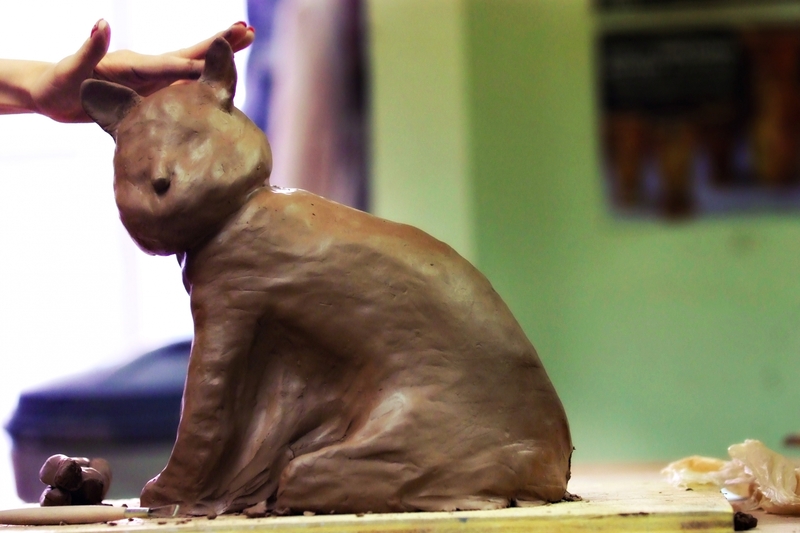 Learn to build large scale ceramic sculptures. The instructor for this course, Nathan Murray, specializes in building life size figurative sculptures and incorporates casting the human form in plaster to create molds for quickly building clay features. Students are welcome to work figurately or more abstract as the instructor is primarily a resources in helping students achieve their goals. This class takes place in our Ceramics Center located in the building just west of the LUX parking lot. All students must register for this class at least 24 hours in advance. Please wear older clothes and shoes as they may get messy or stained. Students in this class will have access to the studios during open studio hours and receive a 50lb block of clay but may purchase more if they want to produce beyond the included amount. All project are fired and ready about two weeks after the last class session. Projects left for more than 60 days after the last class session will be discarded.